I've decided that I would really like to try and slow things down this summer. Remember when we were kids? Summer meant sleeping in, taking it slow with as little responsibilities as possible, and having fun. We had the right idea. Now of course, being an adult is A LOT different than a kid and there are just some things we can't do (like sleep in until 11 every day) or have to do (like unfortunately, work...) I get that and I'm fine with that. This is exactly the season of life the Lord has me in and I'm extremely thankful for it. That being said, I would still like to take this summer, with it's longer days and warmer nights, and really breathe it all in and enjoy myself. Take more walks. Go to the beach more. 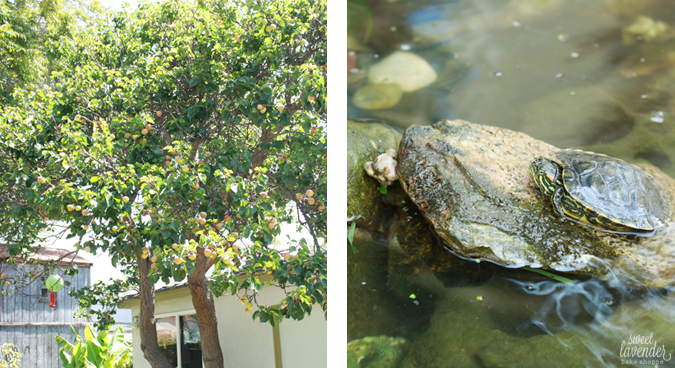 Be out in nature as frequently as possible. Hang out with family more. Hang out with family longer. Go on (free-ish) dates with my husband more. Get off the computer. Get my head up and off of my phone. Talk to friends more. 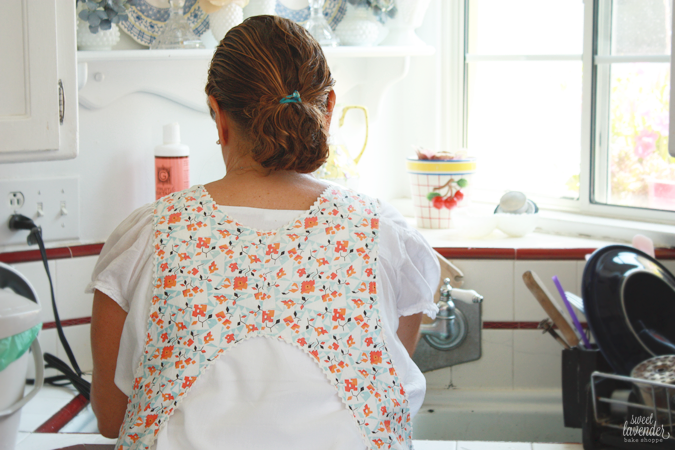 Hang out with friends and do things like drink tea and make delicious foods. Like the day I hung out with my friend and made homemade (homegrown) apricot jam. That day guys...that day was magical. We started early and with no one around and nowhere we needed to be, took things nice and slow. 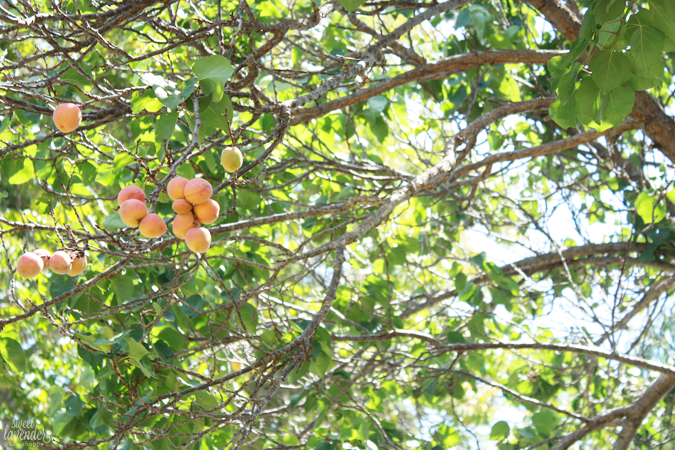 We picked the fruit, cracked jokes and laughed at things like, our height differences- I was the one mostly picking ;) We washed, pitted and cut each apricot by hand while sitting and chatting some more. Then we cooked the fruit low and slow while taking turns stirring- all the while still laughing and just being together. The result? A day so full of fresh breaths of air, calmness and rejuvenation, closeness and sweetness and some of the most delicious apricot jam. My heart could have burst into a million tiny rainbows and shooting stars right then! Plus every time I get into a jar, it takes me back to that day and special time. You guys, get out there and be! 1. Wash and dry all of your jam jars. As usual, I always use Ball or Kerr jars with the two-piece self sealing lids. Set aside. 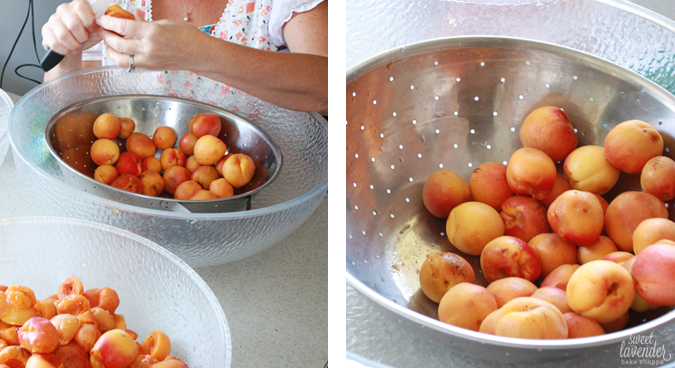 After you have washed and dried your fresh apricots, cut them in half and remove the pit. Discard. Cut meat into large chunks and add to a dutch oven or large pot. 2. Add the filtered water to the pot and gently cook apricots over medium-medium high heat until the fruit is very tender and a mush consistency. Stir occasionally. 3. 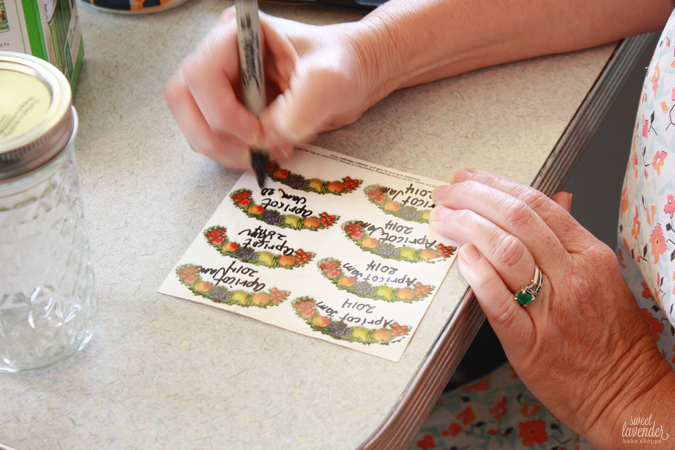 Place a salad or dessert plate into your freezer for the plate test. 4. With a stick blender or counter-top blender, puree your mixture until completely smooth. If using a counter-top blender, add mixture back to your pot and simmer over medium heat once more. 5. Add sugar to apricot puree and stir until completely combined. Continue to cook, uncovered, stirring pretty frequently until the jam has cooked down significantly, color deepens and it has thickened. As the mixture cooks down and the water evaporates, your jam will want to burn at the bottom of the pot. So stir more frequently as needed to prevent that AND adjust heat accordingly. You want a nice steady simmer the whole way through. 6. Test a dollop of jam on your frozen plate: Let dollop sit for 5 minutes. Then move plate around until jam is nice and cold. Tilt plate: does the jam run down the plate quickly? Keep cooking. Does it barely start to gather and try to drip? You're there! 7. Turn the heat off. 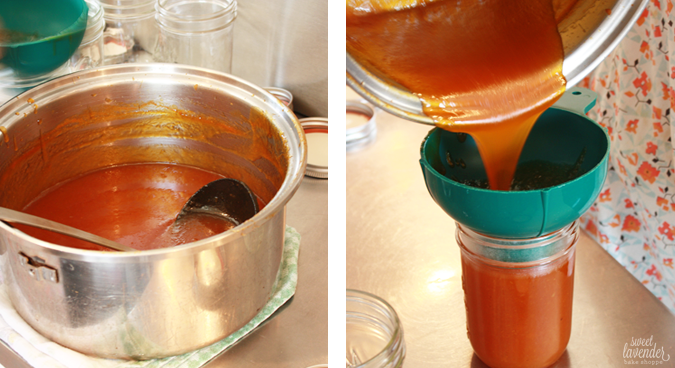 Carefully ladle hot jam into your cleaned jars. Quickly seal with the two-piece lid and allow to sit at room temperature unit jar is cool to the touch and you hear the "POP" noise of the jar sealing. 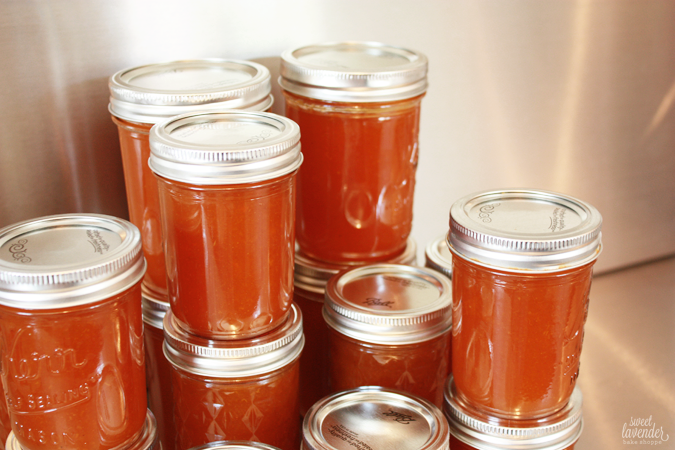 Since this jam is meant to be stored in the fridge, there is no need to do the boiling/sealing sanitation method. If the jars are well cleaned and dried, the jam will last in the fridge for months! If you are looking to store your jam in the cupboard at room temperature, please follow the USDA regulations for sealing jars correctly. Such a great start to our summer. Linking up here! Oh man, peaches sound divine! Dang! What a nice post. That jam is so good too. I'm all for summer activities...activities are the best. Silly question but where did you find that pretty blue bowl? How would it be to use as topping on a coconut cream pie, instead of meringue? I love this! Just be...so perfect. Hope you're having a fabulous summer! YUM! I always get nervous and the jar thing!! Yeah totally! I hear ya on that one. 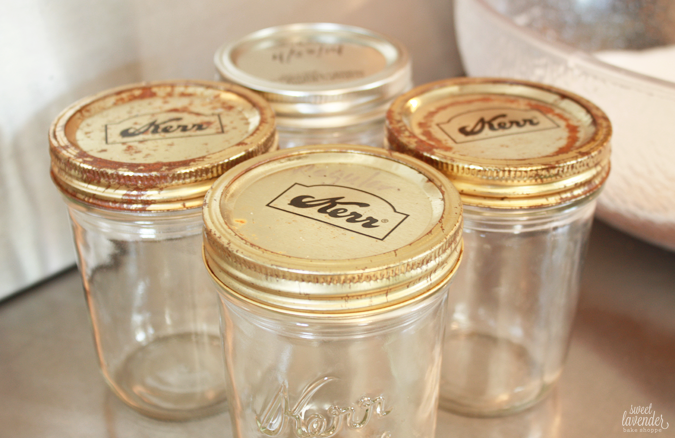 As long as you are not planning on long term storing in a cabinet in your pantry, this is a great "canning" alternative! What a beautiful day this must have been. I feel relaxed just looking at your photos! 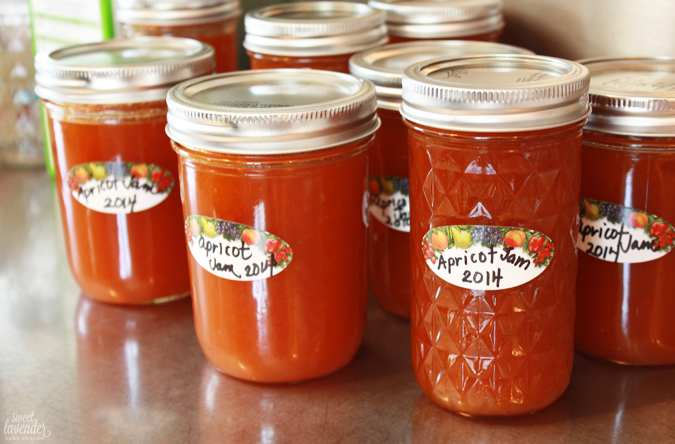 I've actually never even tried apricot jam before, but you make it look so good! I have never made jam. I think I have failed as a southern woman. ;) It's on my list of things to learn how to do!! Oh my golly day...this looks SO good!! What a fabulous, laid-back, thoroughly homemade day, Christina! It seriously is the best. Making more tomorrow! I love this! I probably won't be making jam with our upcoming move but I love that you are! Slowing time down and soaking in each moment really is a wonderful thing. I'm glad you are getting to do that.